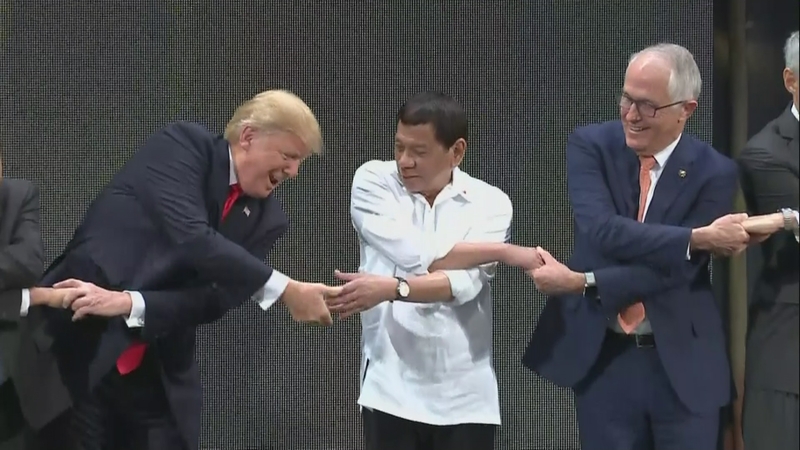 Donald Trump has hailed his “great relationship” with the controversial Philippine President Rodrigo Duterte at the end of a two-day regional summit in Manila. The two leaders did talk about the country’s brutal war on drugs, which has left thousands of people dead. But, the White House admitted, there was only a brief reference to human rights during the closed-door talks. And in a highly surreal moment, President Duterte serenaded Mr Trump with a special love song.